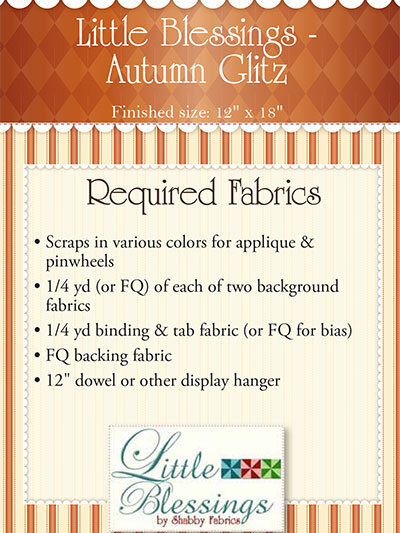 Revel in autumnal colors with a these festive fall leaves! 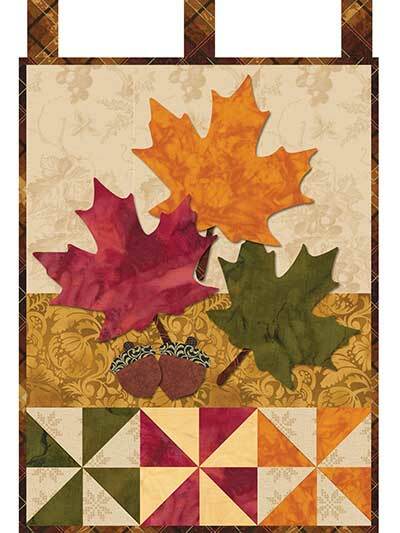 This rich and simple quilt pattern features big and bright maple leaves that are sure to make any room in your home more festive. Collect all 12 and make a seasonal wall hanging to decorate your home for year-round joy! Pattern from Shabby Fabrics. Finished size is 12 1/2" x 18".